Spice up your walls (or any other smooth, flat surface) with cute Cloud stickers/decals. Add a little colour to your life! 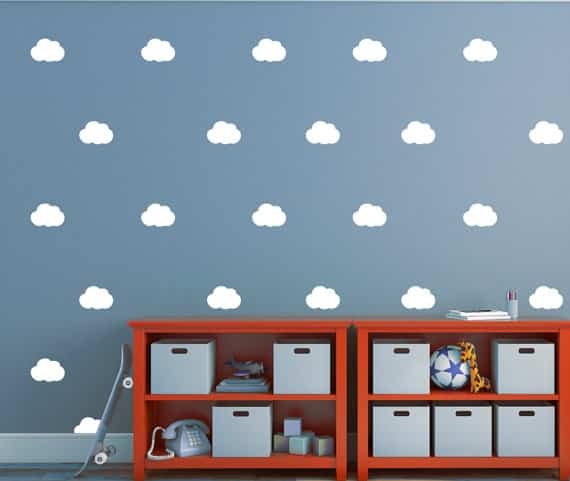 Cloud Wall Stickers are available in the colour of your choice. See the colour chart for your options.